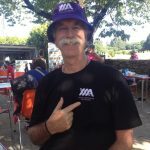 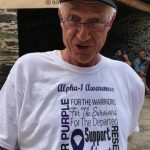 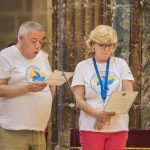 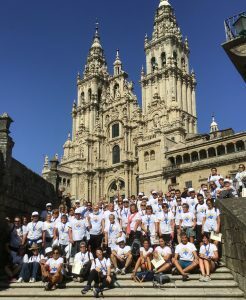 Santiago de Compostela, Spain, hosted last Saturday, September 1, the reading of the Declaration of Santiago, a document that includes the main demands of patients with Alpha-1 Antitrypsin Deficiency, in an event that ended the Camino de Santiago awareness of the Spanish and international Alpha-1 community. 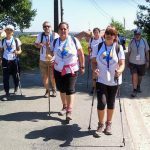 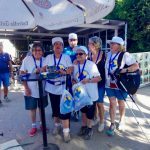 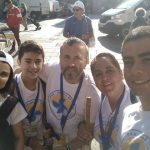 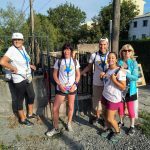 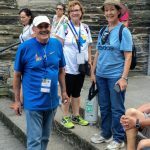 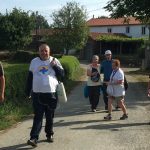 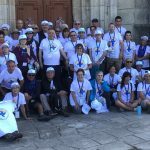 On the pilgrimage, 72 patients, relatives and companions walked the last 115 km. 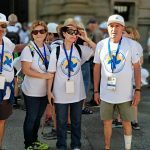 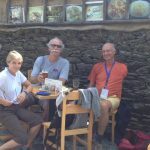 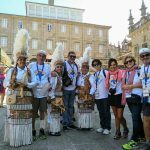 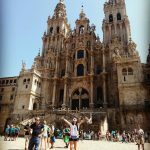 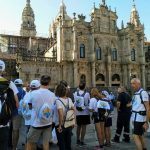 of the Jacobean route, joining in the last stage and at Santiago another 15 patients and representatives of patient´s associations and medical and scientific societies, forming a group of more than 90 people. 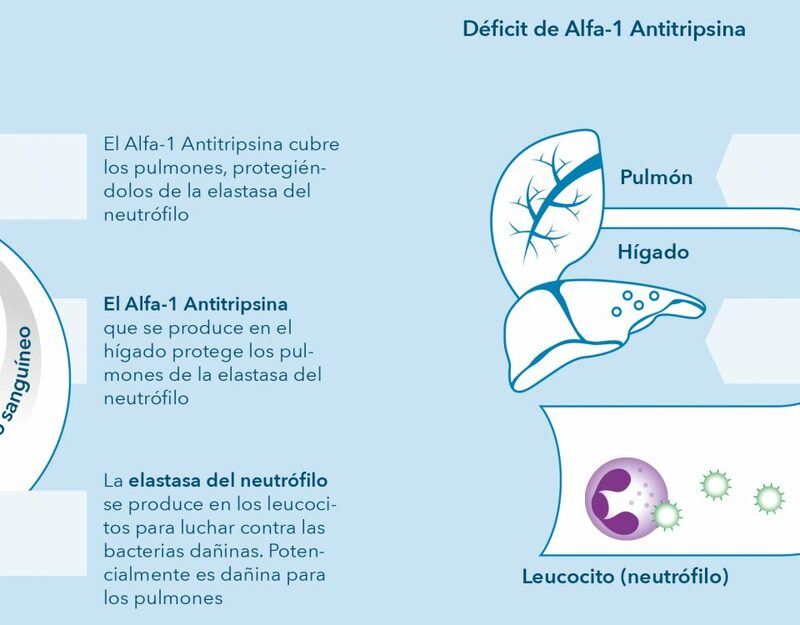 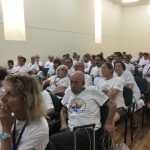 The march, named Alfas en Camino, was promoted by the Alfa-1 Patient´s Association of Spain, with the objectives of promoting physical exercise among patients with COPD and other respiratory diseases; give visibility to the Alpha-1 deficit; and promote research. 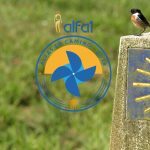 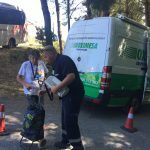 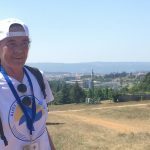 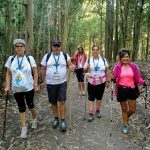 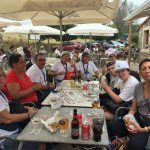 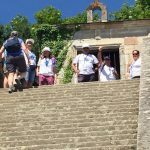 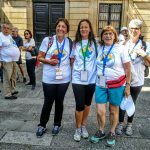 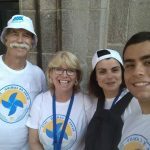 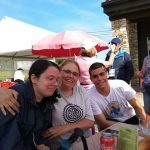 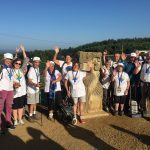 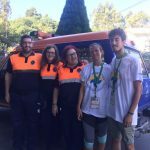 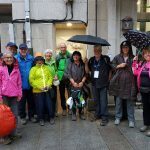 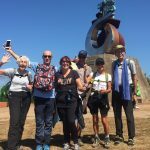 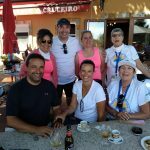 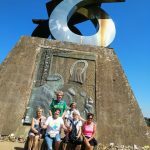 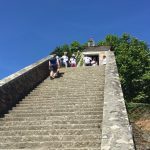 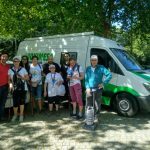 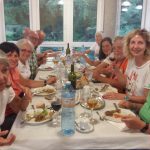 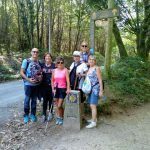 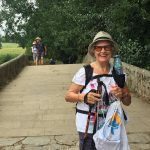 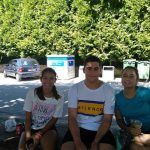 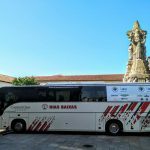 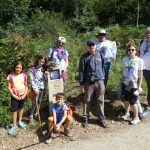 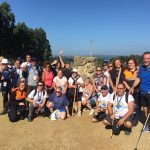 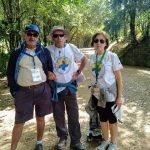 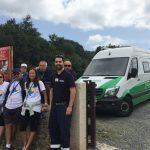 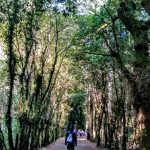 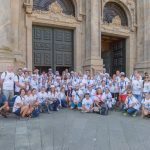 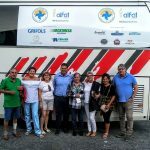 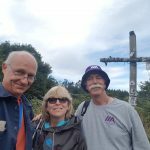 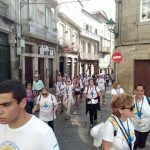 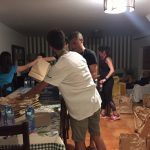 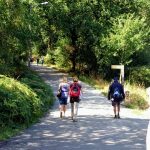 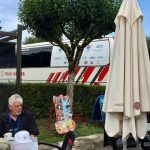 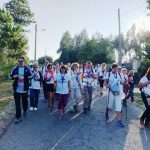 The pilgrimage began in Sarria on Sunday, August 26th, with 72 patients and relatives, while four more joined them in Arzúa. 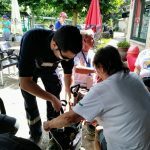 Among the group there were near of 40 people affected by respiratory disease due to AATD, 7 of them using supplemental oxygen. 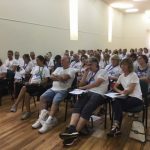 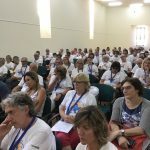 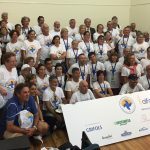 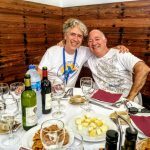 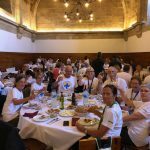 Participants were patients, relatives and companions from all over Spain and from 6 other countries, Germany, Portugal, France, Norway, Belgium, New Zealand and USA. 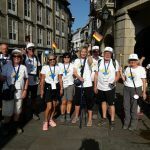 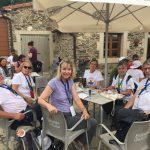 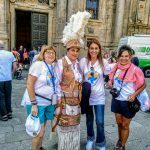 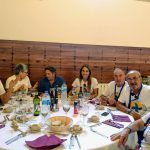 Among the international pilgrims there were heads of patient´s associations from Germany, Portugal, Belgium and New Zealand, as well as Alpha-1 Global, the global alliance for patient´s associations with AATD. 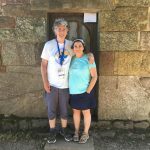 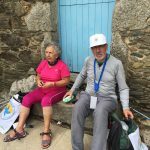 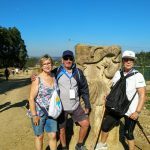 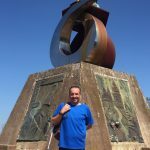 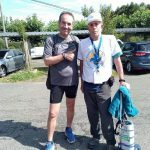 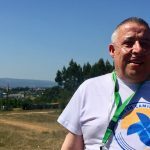 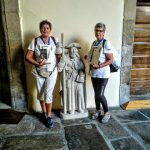 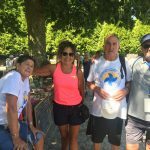 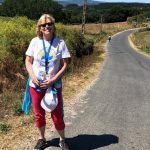 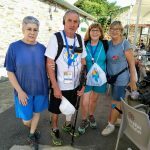 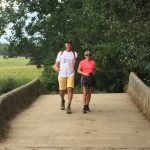 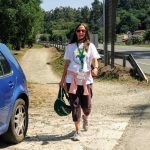 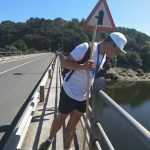 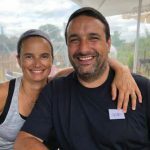 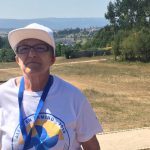 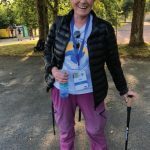 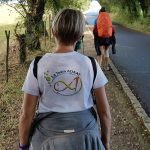 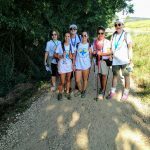 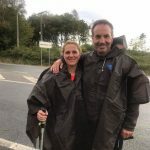 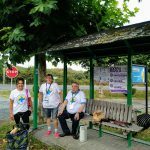 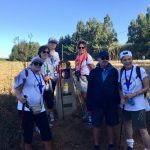 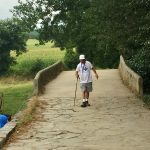 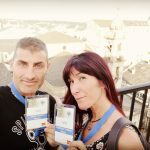 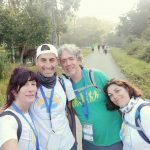 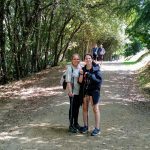 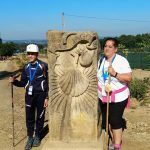 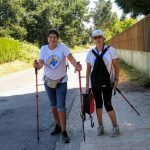 Francisco Dasí and Mercedes Navarro, members of the research team specialized in Rare Respiratory Diseases of the University of Valencia –INCLIVA, walked from Sarria and shared with the patients the seven days of pilgrimage. 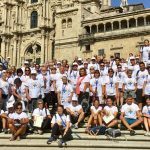 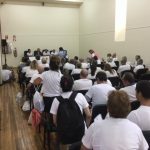 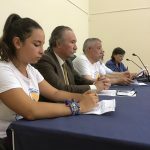 The hole group participated at Hospedería de San Martiño Pinario in the act of reading the Declaration of Santiago, a document that includes the main demands and concerns of the patients with Alpha-1 Antitrypsin Deficiency. 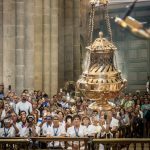 The event took place a few hours after the arrival in Santiago de Compostela, and after having participated in the traditional pilgrim´s rites: attend the Pilgrim’s Mass in the Cathedral, read an Invocation to the Apostle Santiago and attend the spectacular flight of the botafumeiro, a giant censer unique in the world. 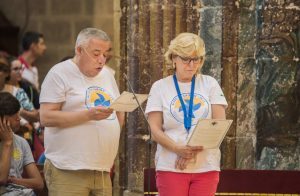 In the name of all the participants, the Invocation was read in the Cathedral’s High Altar by Mariano Pastor and the director of Alpha-1 Global, Gonny Gutierrez. 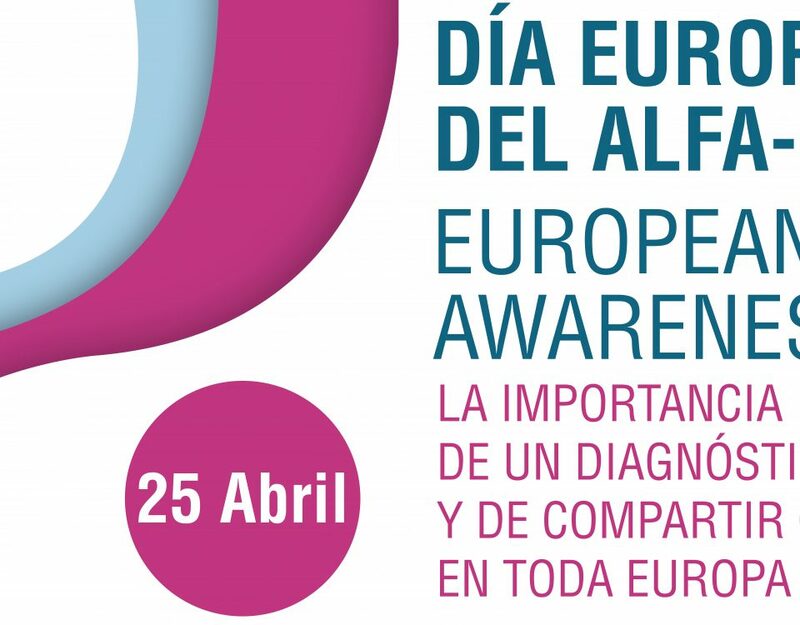 The Declaration emphasizes that early diagnosis is key to treating AATD, saves suffering, enables adequate medical attention, increases hope and quality of life and saves economic resources in more expensive treatments. 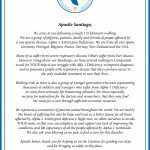 Therefore, the alphas call for the training of specialists in this genetic condition and the provision of more means for the centres of excellence in DAAT and for the investigation for finding the cure. 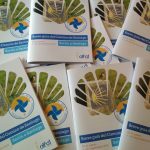 General access to existing treatments is also a fundamental demand. 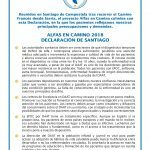 You can check here the full text of the Declaration of Santiago. 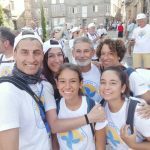 The document was read by a young pilgrim from Melilla, Raquel Torralbo Samper, who walked the Camino with 3 other members of her family. 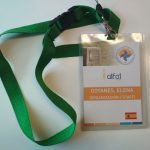 The reading was chaired by Mariano Pastor, president of Alfa-1 Spain; the president of the Spanish Society of Pneumology and Thoracic Surgery SEPAR, Dr. Carlos Andrés Jiménez-Ruiz; and Dr. Javier Palicio, president of the Spanish Federation for Allergies and Respiratory Diseases Patient´s Associations (FEANER). 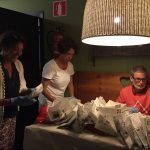 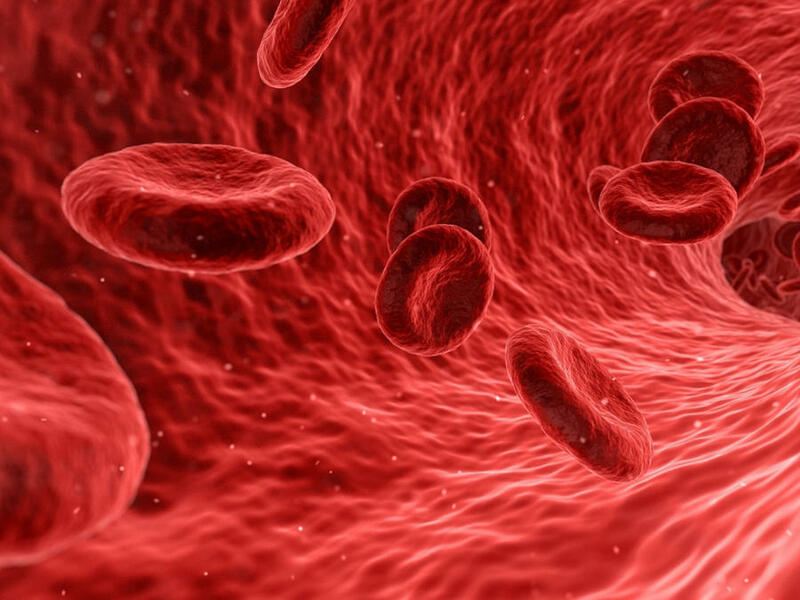 Among participants were present also Dr. Francisco Casas, coordinator of the Spanish Registry of Patients with Alpha-1 Antritypsin Deficiency (REDAAT) and head of the Alfa-1 Center of Excellence in Andalusia; Dra. 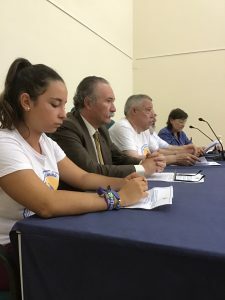 María Torres, head of Centro Gallego de Excelencia en Alfa-1, based in Vigo, who attended with several members of her team; and the director of Grifols VP Government and Public Affairs, Dra. 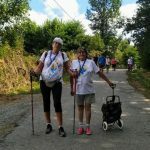 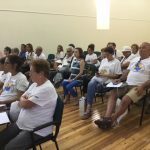 Esperanza Guisado, and Fran Franco, from the same department, also accompanied the patients after having already walked with them the last two stages. 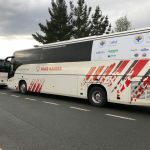 Alfas en Camino involved an important support and assistance operation, including a unit for oxygen recharge. 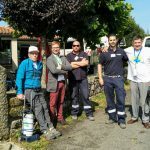 The human team consisted of 3 collaborators, supported permanently by the directors of Alpha-1 Spain; and 2 specialized technicians directly dependent on Oximesa-Praxair, who facilitated the participation of patients with recharges en route every 3 hours. 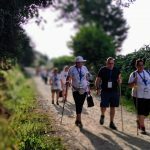 Depending on their abilities and physical shape, organization offered participants 3 different options of route, selected both by distance and unevenness. 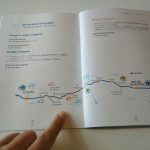 The 115 km. 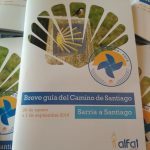 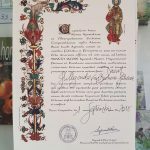 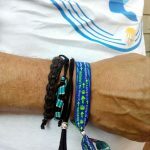 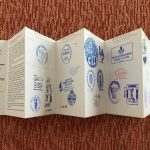 they were distributed in 7 stages, with beginning and end in Sarria, Portomarín, Ventas de Narón, O Couto, Ribadiso, Santa Irene, Monte do Gozo and, finally, Santiago de Compostela. 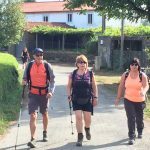 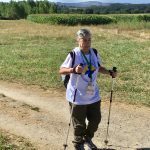 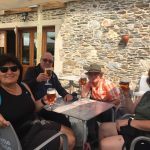 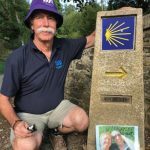 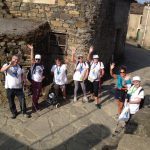 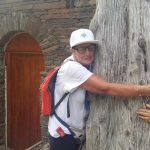 Fortunately during the march there were no problems of any kind beyond the usual ones in any other pilgrim´s group, such as blisters, dismissal at the end of a stage or the physical fatigue typical of long distance marches. 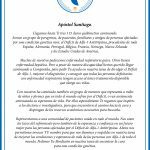 Alpha-1 Association of Spain wants to thank the sponsors and collaborators for their involvement in the project. 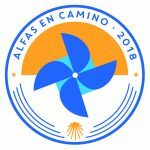 Due to its high participation and complexity, Alfas en Camino would not have been possible without its support. 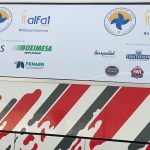 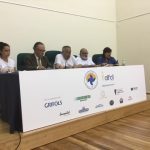 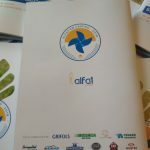 The main sponsors, Grifols and Oximesa-Praxair, were also joined by the Cátedra de la Universidad Autónoma de Madrid-GSK Respira Vida y SEPAR; the companies Burpellet, Fontecelta, Autos Rosas, Monter Embutidos, Jamones FAR and Versal Comunicación SL; and the Cathedral of Santiago, which facilitated the management of the group of pilgrims. 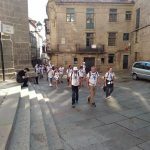 We have made a first selection of photographs, which we include in this Gallery.